In our last post, we covered the importance of hiring people who communicate openly, thrive on continual learning and remain open to new ways of thinking. We also introduced the six phases of our DevOps interview process and hiring process. Here, we’ll discuss the first three phases. When candidates enter our system, we make sure they know what we’re looking for and what to expect from us. From the first call to the final in-person interview, our DevOps interview process is designed to test for both technical knowledge and cultural fit. We usually find candidates through recruiters and employee recommendations. Recruiters perform initial vetting, then ask select candidates to provide written responses to a series of questions. 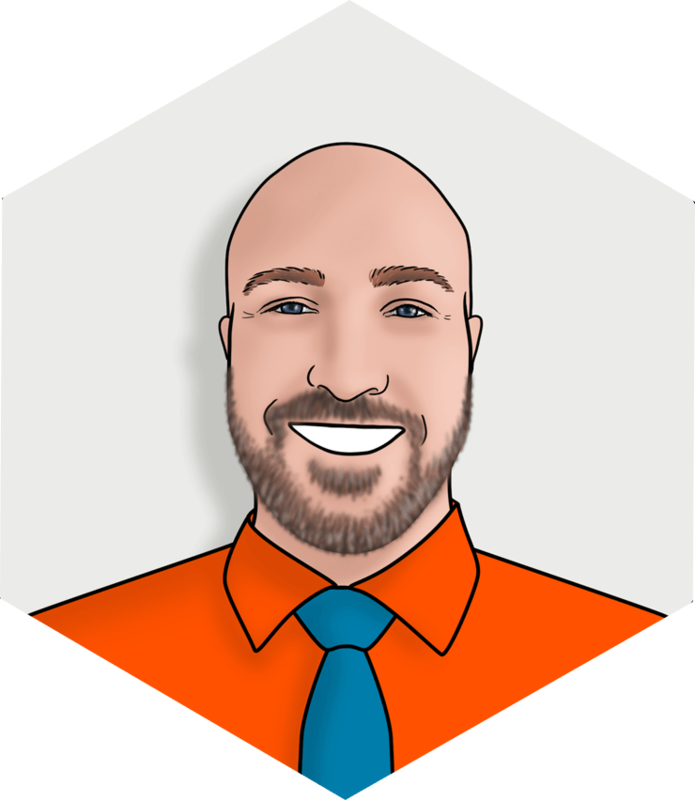 The questions focus on willingness to travel (most of our team members are traveling consultants), experience in end-to-end software delivery, familiarity with DevOps tools and technologies and summaries of significant DevOps accomplishments. 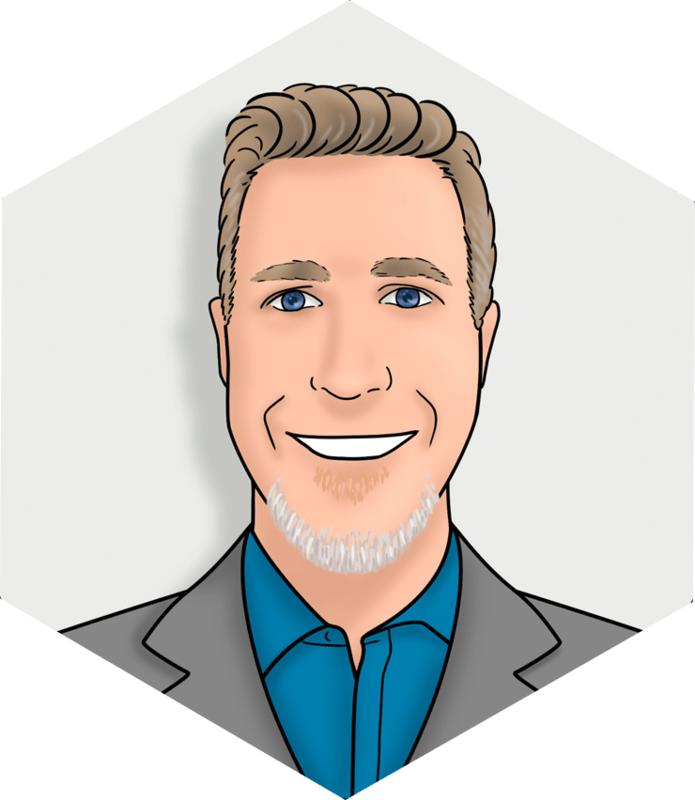 The candidate’s DevOps background and written communication skills determine whether or not we invite that candidate to participate in our six-phase hiring process. The Initial Screen allows a member of Liatrio’s executive team and the candidate to discuss the candidate’s background, technical capabilities and DevOps philosophy. 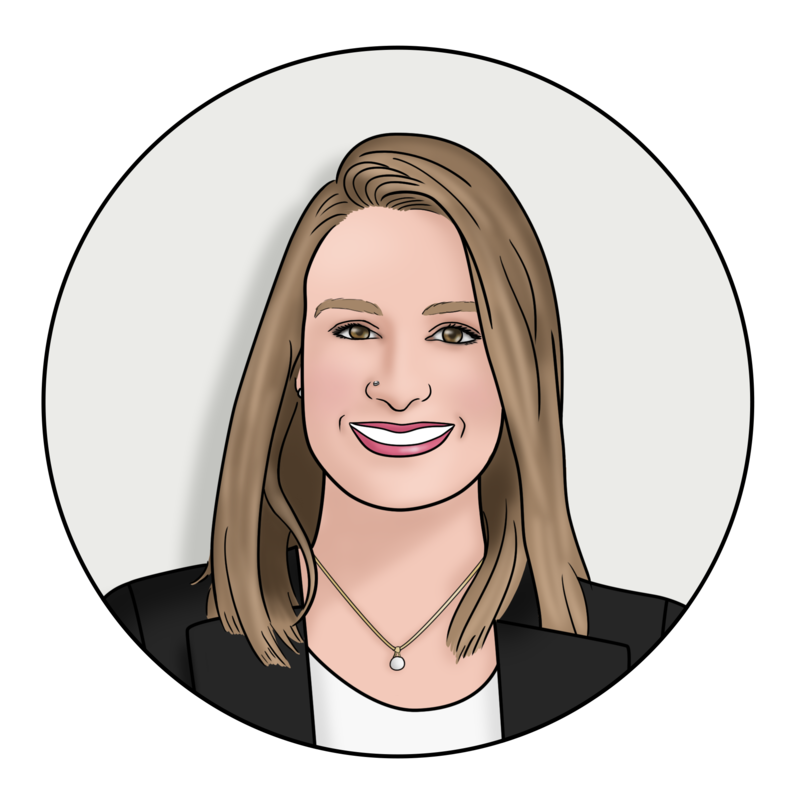 The Liatrio team member shares a company overview and describes our work and the life of a traveling consultant. Throughout this 30-minute conversation, the team member listens out for the candidate’s alignment with expectations. For example, we let candidates know that the entire DevOps interview process may take anywhere from five business days to two full weeks to complete. The two roles we usually hire for are Consultants and Technical Engineers. Consultants tend to focus on team dynamics and ways of optimizing DevOps processes through team interaction. Technical Engineers focus more on solving technical problems, integrating tools, creating pipelines and building end-to-end automation. Most candidates who show potential move on to Phase 2 even if they don’t seem like the perfect fit. The goal is to be open minded so we don’t miss out on great people. After the Initial Screen, the team chats over Slack, a cloud-based set of collaboration tools. 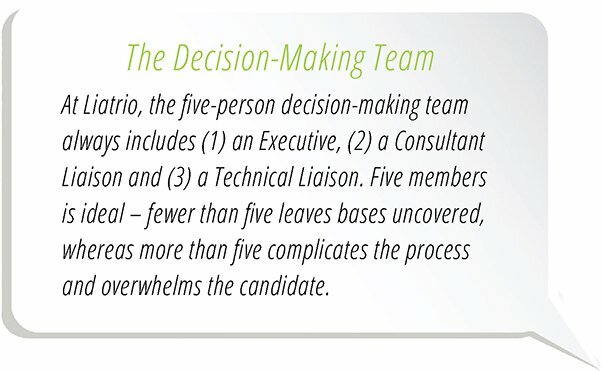 The team chooses a Consultant Liaison to lead a Phase 2. 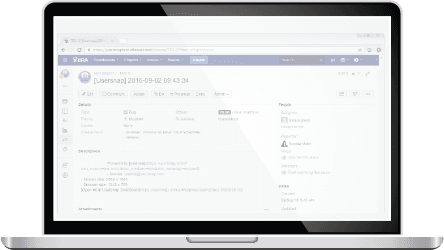 We also create a Jira ticket that’s visible to all Liatrio team members. The Jira ticket is a one-stop-shop for information on each candidate, including their professional background, anticipated role at Liatrio, video interviews and team member feedback. The Jira ticket tracks candidates through the process and provides metrics needed to track progress. The next step in the DevOps interview process is a one-hour Detailed Video Interview. The interviewer, usually a Consultant Liaison, uses scripted questions and open discussion as a baseline to assess the candidate’s technical and social skills. Strong communication skills are required for all company positions, so seeing how candidates participate in a dynamic conversation is critical. At the end of the call, the Consultant Liaison shares the video interview with the team and gets their input to determine next steps. Every member of the team is free to share feedback about candidates at this or at any phase of the process. The Consultant Liaison then updates the Jira ticket and identifies the five people who will make up the decision-making team. 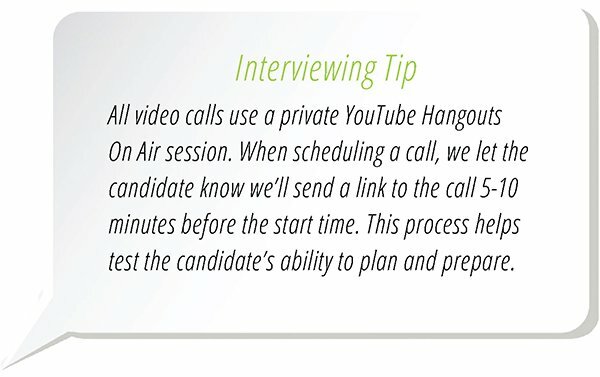 After the Detailed Video Interview, the Technical Liaison has a 30-60-minute video interview (Technical Screen) with the candidate. Conversations with candidates interviewing for a Consulting position gauge how comfortable they are discussing the delivery pipeline and guiding senior and junior engineers. Conversations with candidates interviewing for a Technical position focus on their understanding of DevOps tools and use cases. By videotaping interviews, we can build a library of candidates we can compare against each other to better identify strengths and weaknesses. 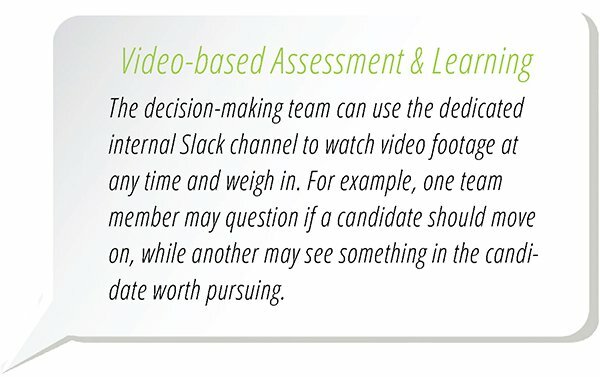 Videos also help our leadership team identify interviewer strengths and weaknesses and create opportunities for improvement. At the end of the call, the Technical Liaison shares detailed information about the next phase of the DevOps interview process to set the candidate up for success. The Technical Liaison also emphasizes the importance of open communication and introduces a private Slack channel created so the candidate can communicate rapidly and regularly with the decision-making team. In our next post, we’ll cover the final three steps of our interviewing and hiring process.